Just Add Glimmer!! Ok, twist my arm....if I have to! Haha. I do love a bit of sparkle and this card was inspired by the table setting I created a couple of weeks ago. 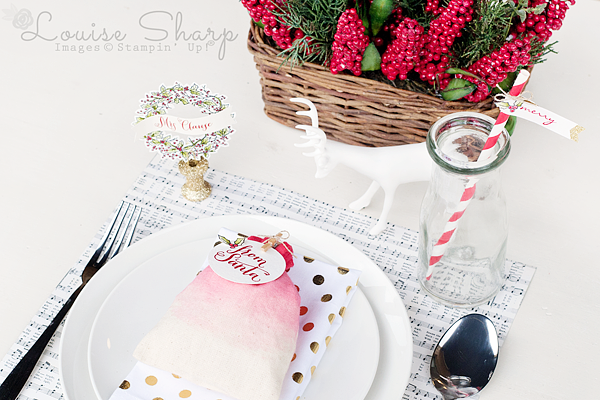 If you haven't noticed, I am IN LOVE with just about everything from the new Holiday Catalogue! I was stressing about making Christmas creations so early, not really wanting to even think that Christmas is looming, but now I'm excited! I do love Christmas. I used the new Peaceful Wreath stamp set, which coordinates with the Wonderful Wreath Framelits, isn't it just gorgeous?! The sentiment is from the Jingle All the Way stamp set and I think the curvy font is beautiful and compliments this card perfectly. Make sure to head over and see the amazing Design Team over at Just Add Ink this week. What a beautiful CAS card - I LOVE it! This has got to be may favorite card this season yet! TFS! This is absolutely beautiful Lou! After seeing this, I think I really need to order that gorgeous wreath! 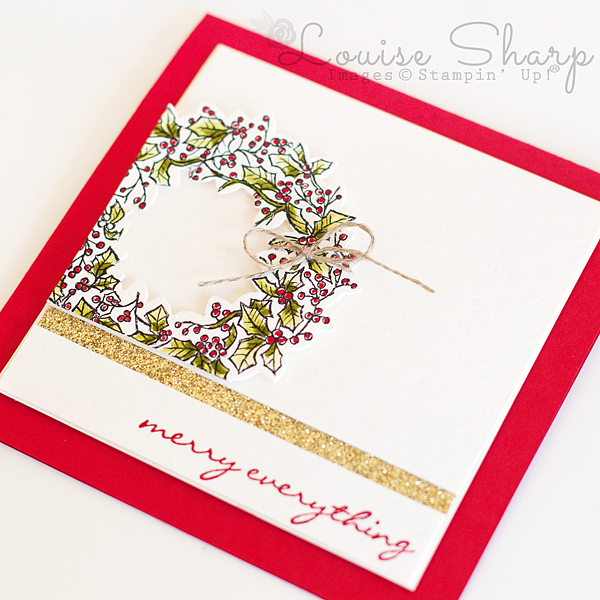 This card is the height of elegance Louise! I am in love with your style!